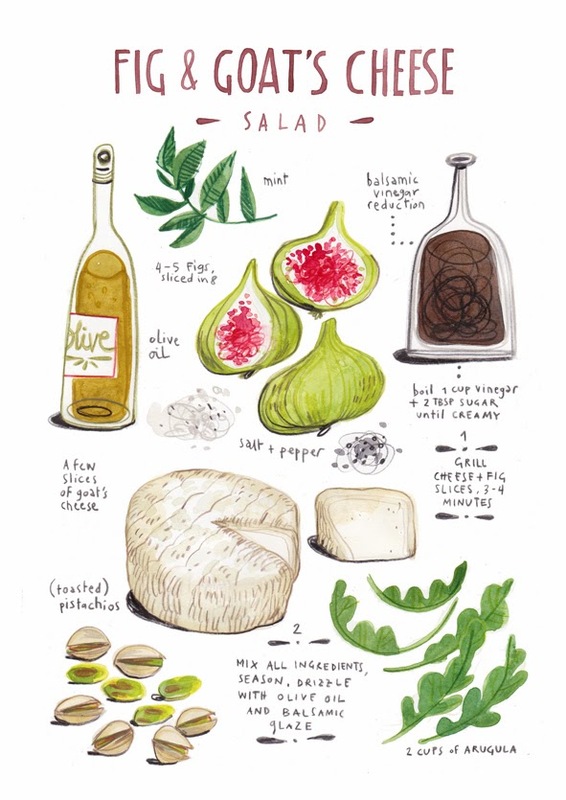 I'm a big fan of food illustrations and love these illustrated recipes from Felicita Sala. 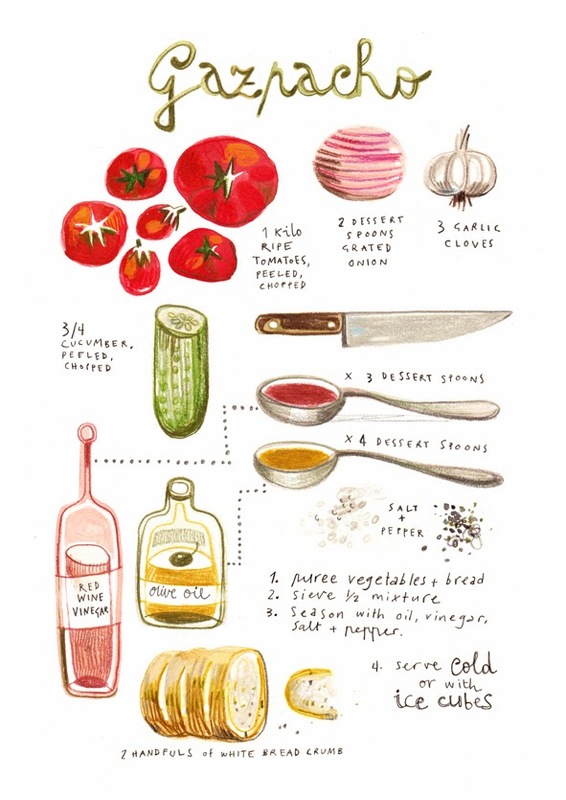 What a wonderful way to cook! Felicita currently lives in Rome, Italy, and draws inspiration from food, children, contemporary art, music, philosophy and people on the street. 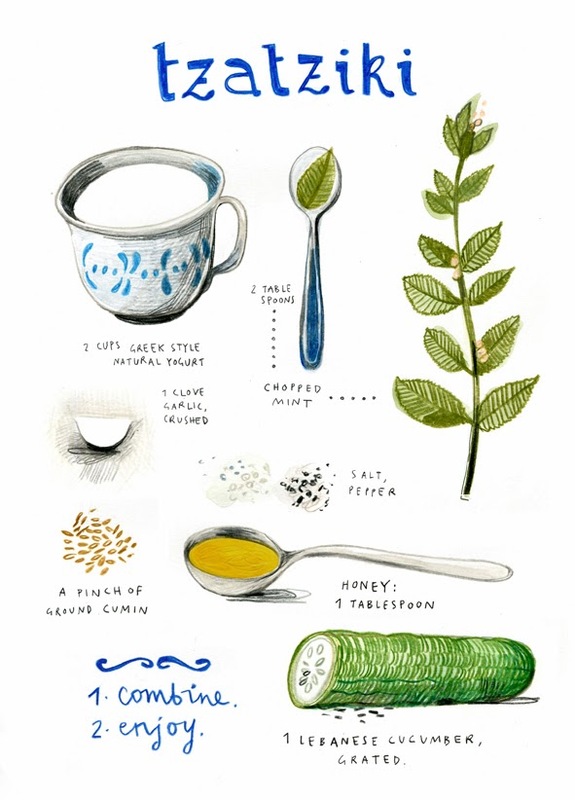 Be sure to visit Felicita's portfolio to see her other wonderful illustrations and paintings. She also sells prints on-line at Society 6. 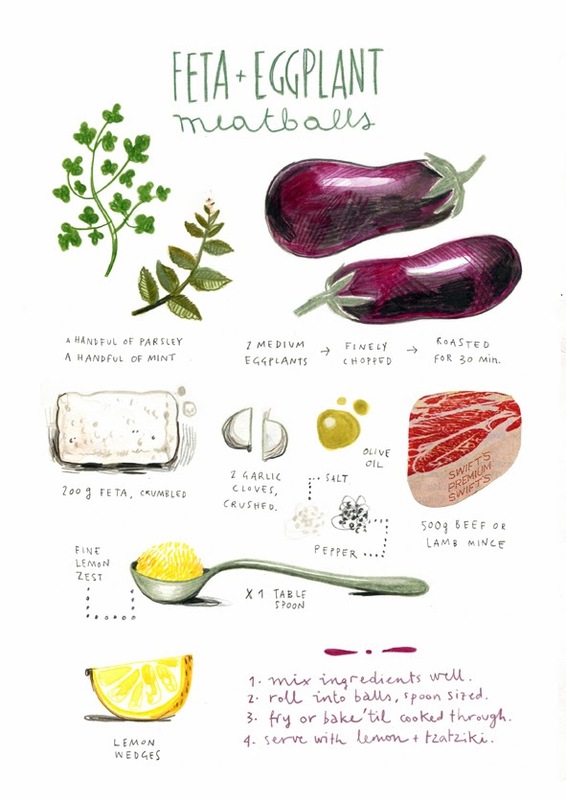 These illustrated recipes would look wonderful in the kitchen! Thank you for inspiring me today Felicita!